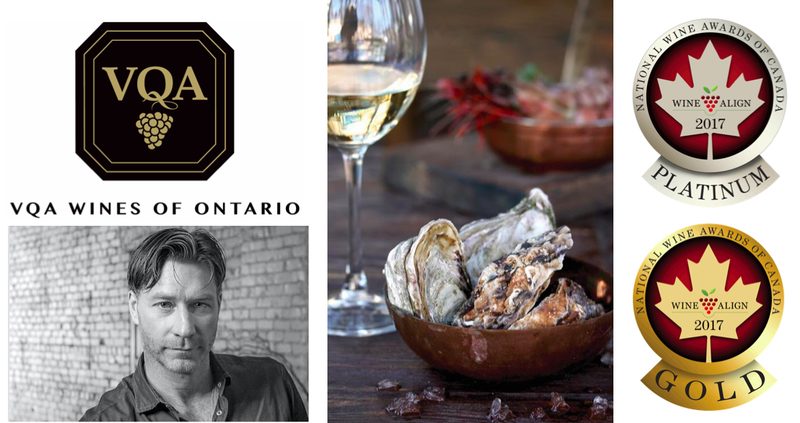 John Szabo, MS, in partnership with the VQA Wines of Ontario, is proud to present the second annual Great Canadian Oyster and Wine Experience. Come and enjoy the finest oysters Canadian waters have to offer, at the peak of the season, matched with Ontario’s incredible homegrown wines. A pre-dinner tasting featuring a dozen top Ontario producers, with plenty of shucking going on, will be followed by a full menu inspired by the sea, paired with WineAlign National Wine Awards Platinum and Gold winning wines. Hob-knob with Toronto’s top food and wine professionals who will be out in full force; WineAlign principal critic John Szabo will emcee the evening. You’ll also be tasting a trio of Nova Scotia scallops and VQA wine pairings as pre-selected by a panel of self-declared food & wine pairing professionals, and voting on the ultimate pairing, with a chance to win some cool prizes. It will be a night of superlatives, for a limited number of guests. Located at 57 Adelaide Street East, Terroni Adelaide is housed inside the historic York County Court House which served as the city court from 1852-1900. Just inside the front doors is the enoteca, a great spot to stop in for cocktails after a busy day. Beyond that is the spectacular dining room, with a sunlit atrium and fireplaces on each end, the atrio on one side and open kitchen on the other. We offer a great selection of spaces for private functions at this location. Whether you are looking to host an intimate dinner for a small group, a large wedding or a corporate event for up to 350, we have four levels of unique event space for you to choose from. The Covo degli Artisti is our recently opened hidden gem, located on the third floor this is a cozy lounge space perfect for an array of cocktail style events. In the summer months come visit our lush secret garden patio where you will enjoy an unforgettable al fresco dining experience in the heart of the city.